Thanks for checking out our social media content challenge that is happening on April 2016. The social media challenge is for YOU to do social media consistently, in different types of posts and formats ONCE a day from Monday to Friday. The key is consistency because that is what social media marketing is about. It is never a one-time event! Those that want to get a jump-start in building relationship online. The above worked in 2015 at our first ever social media content challenge. Participants are not obliged to “talk” about your ongoing promo or project just because you participated in the social media content challenge. It ruins the fun. We would hate to tell you to stop doing it but we will. Please do not ask for endorsement of your product, service, cause or promotion. Twitter, or your Facebook page. Choose either. 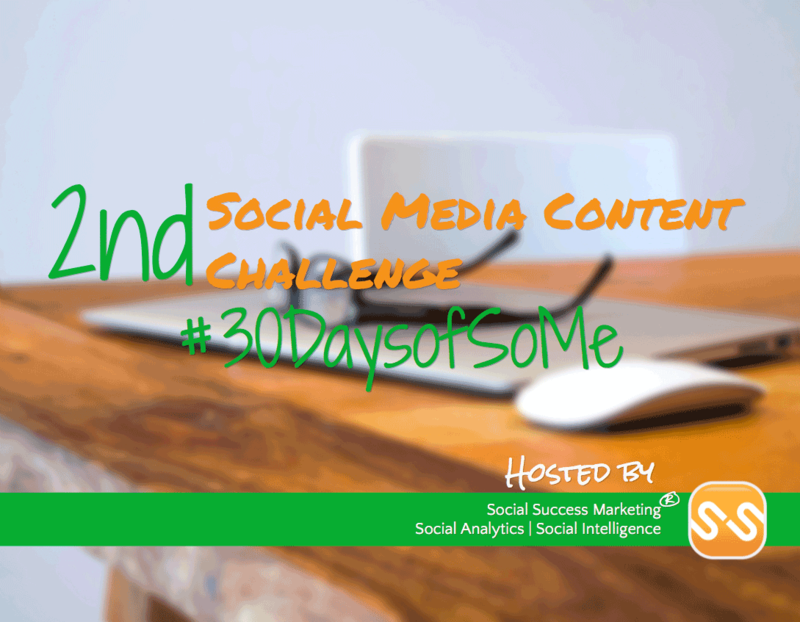 Sign up to be officially part of the social media content challenge. You can email us here: ask[at]socialsuccessmarketing[dot]com. Make sure you have Google+, and either a Twitter or Facebook page for your business. During the entire duration of the challenge, check Google+ community to find, or confirm, the theme or content for the day. Note: A list of content will be posted here on this page soon. Post in our exclusive Google+ community the link to where you posted the content. Plan ahead. It’s less stressful than when things are in place. This section ↓↓↓↓↓ is where the content calendar will be posted.